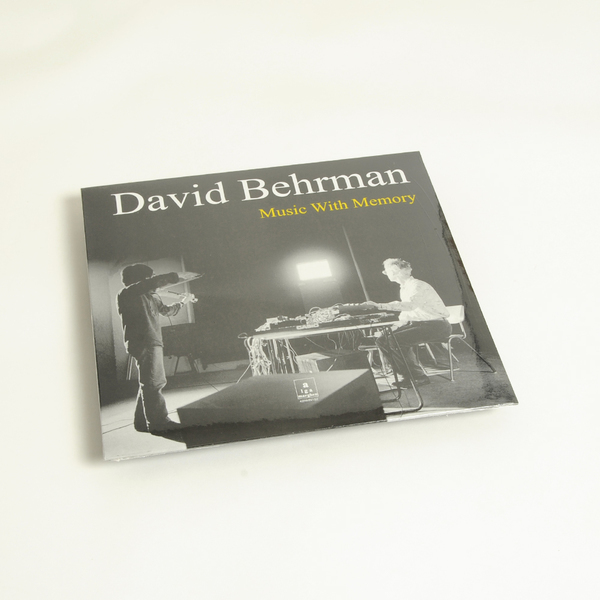 David Behrman’s pioneering electronic experiments explored on this astonishing collection of recordings marrying microprocessors with violin, sax and electrified Mbira between 1986-1989, all previously unpublished on any format. While Behrman’s name is synonymous with 20th century avant garde sonics - often checked in the same breath as John Cage, or alongside peers Gordon Mumma, Robert Ashley, Alvin Lucier - it may be difficult for curious neeks to grasp his wide-reaching, exploratory practice, which is where you can consider this LP a seductive and ear-dilating portal to his freely improvised, beautifully mercurial world. Music With Memory was realised at the behest of John Driscoll and Mathias Osterwold, who conceived the phrase to describe the mixture of then newly available, portable “microprocessors”, or computers equipped with memory, with “real” musicians, namely Takehisa Kosugi (Violin) and Werner Durand (Soprano Saxophone) respectively, at their concerts held at Eiszeit-Kino in Kreuzberg, Berlin, 1986. 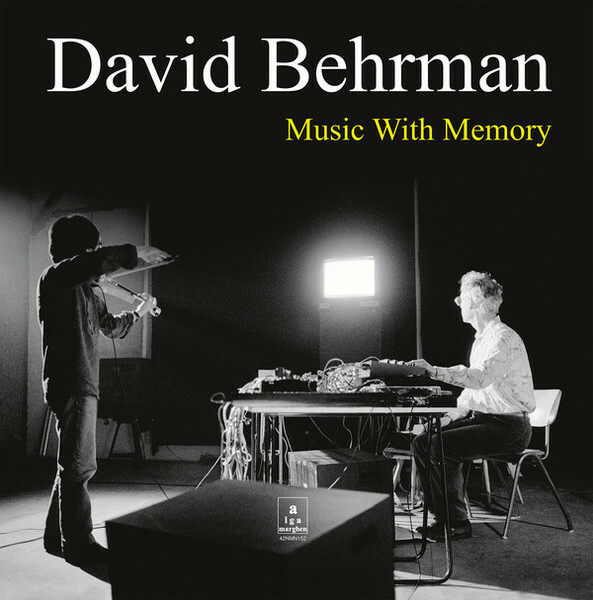 Along with a later recording of Behrman and Fast Forward making electrified zithers sound like dizzy harpsichords, the collection renders some of the most immediately gratifying yet playfully challenging work that we’ve encountered in Berhman’s catalogue. The A-side’s 23” piece Interspecies Talk was commissioned by John Cage and Merce Cunningham as music for the 1984 Cunningham Company dance, Pictures. 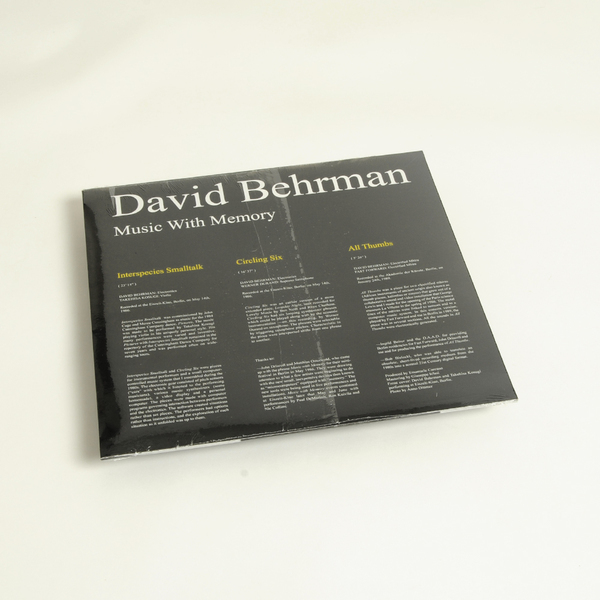 It features Kosugi in flighty duet with Behrman’s electronics, which consisted of pitch sensors, or “ears” as he calls them, triggered by the violin phrases to create indeterminate “situations”, rather than “set pieces”. Whilst on one level comparable with New Age and 4th world precedents, Behrman and Kosugi’s work extends beyond those conventions to plot out gloriously absorbing new realms of gambolling chromatics and slooping phrases informed by, yet unbound from, tradition. On the B-side, Behrman’s Circling Six finds Werner Durand’s Soprano Sax in the same role as Kosugi’s strings, used to trigger the computer in a duet of piquant yet smoothly contoured cadence and harmonised loops that sound like chorales of Welsh aliens in jazzy conversation. By comparison, the final 5 minute piece All Thumbs makes for a sweetly anomalous contrast, and maybe even the highlight for some listeners, us included. Here, Behrman and Fast Forward, transform traditional African thumb pianos - known as kalimbas or zanzas - in delicious, rhythmic flurries and twanging recursive clusters, simultabneously acting as a brilliant piece for dance, if the mood takes you, or perhaps even imagining Bach jamming with ancient Egyptians using their alien overlords’ leccy supply. If you’re into any modern electro-acoustic works by Jim O’Rourke, Oren Ambarchi or Keith Fullerton Whitman, you owe it yourself to dive headlong into this one. One of the albums of the year back in print.